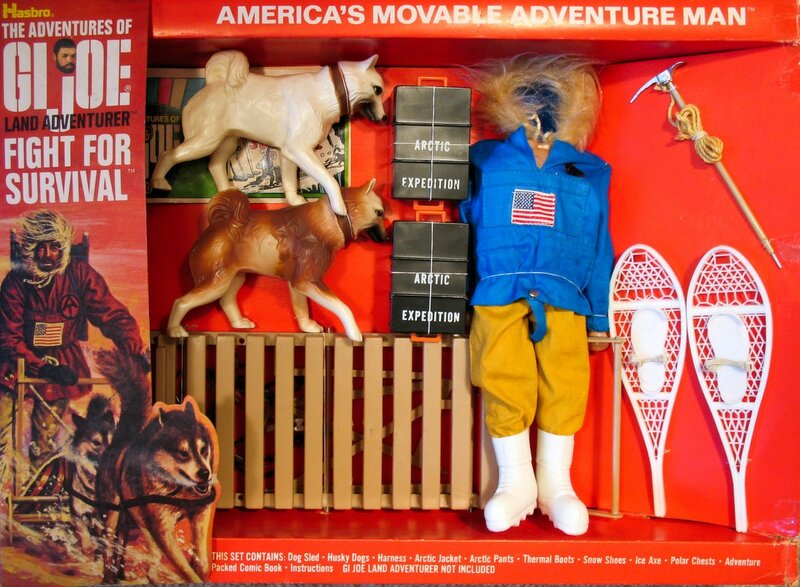 The 1970 version of Fight for Survival (7431) is one of the rarest Adventure Team window boxes, and was apparently available only for one year. 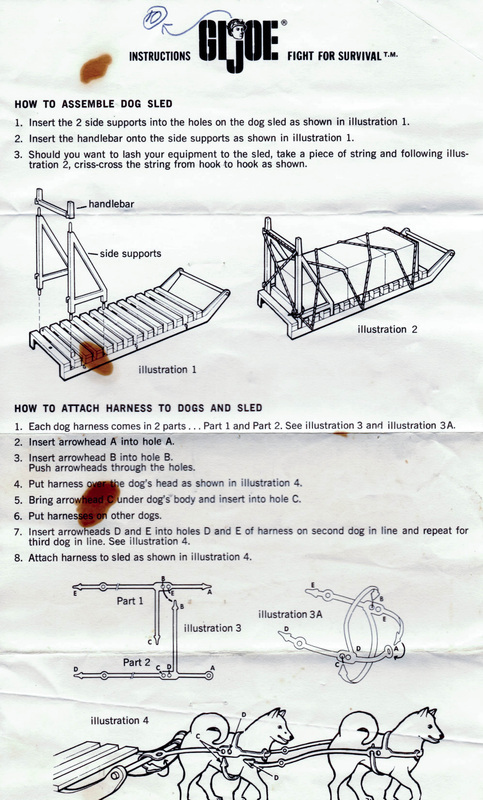 It differs from the 1969 edition of the set with a reduction to just two dogs, usually white and golden, and the switch to a blue parka from red. Note the white elastic on the snowshoes that are marked Hasbro Hong Kong on the ends. Hasbro used the name again for an unrelated small uniform set starting in 1973.